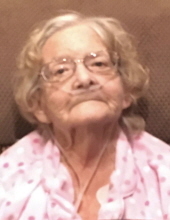 Mrs. Ann Blevins Nance, age 75 of Ronda passed away Wednesday, February 6, 2019 at Forsyth Medical Center in Winston Salem. Funeral services will be held 12:00 Noon Friday, February 8 , 2019 at Reins Sturdivant Chapel with Pastor Kevin Blevins and Pastor Allen Shepherd officiating. Burial will be in Antioch Baptist Church Cemetery. The family will receive friends from 10:30 unitl 11:45 prior to the service at Reins Sturdivant Funeral Home. Mrs. Nance was born November 9, 1943 in Wilkes County to William Brant Blevins and Viola Mae Kelly Blevins. She was retired as the Post Master of Roaring River Post Office. In addition to her parents, she was preceded in death by two sons; Adam Nance and Eric Nance. She is survived by her husband; Troy Nance of the home, two sons; Bryan Nance and wife Sandy of Ronda and Joe Nance and wife Marsha of Ronda, five grandchildren; Amanda Nance, Matthew Nance, Jacob Nance, Lauren Holloway and Kaitlyn Holloway, four sisters; Carlotta Grimes and husband R.G. of Hiddenite, Joyce Greene and husband Curtis of Millers Creek, Beth Watkins of Oak Island and Pam Blevins of Purlear and three brothers; Wayne Blevins and wife Donna of Ronda, Jim Blevins of Ronda and Bill Blevins and wife Christina of Sylva. Flowers will be accepted or memorials may be made to Ebenezer Christian Children’s Home PO Box 2777 North Wilkesboro, NC 28659 or the American Diabetes Association PO Box 11454 Alexandria, VA 22312. To send flowers or a remembrance gift to the family of Ann Blevins Nance, please visit our Tribute Store. "Email Address" would like to share the life celebration of Ann Blevins Nance. Click on the "link" to go to share a favorite memory or leave a condolence message for the family.